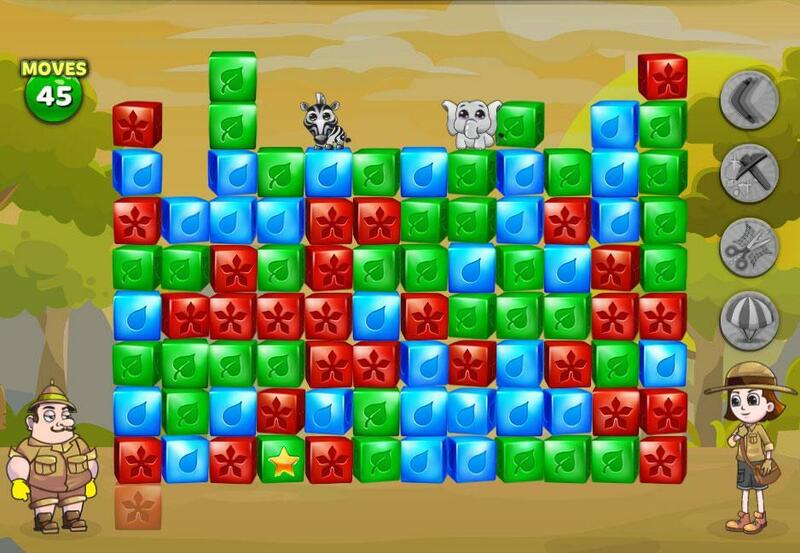 Safari Escape is a free block removing game played on Facebook, your aim is to rescue the animals on top of the blocks. 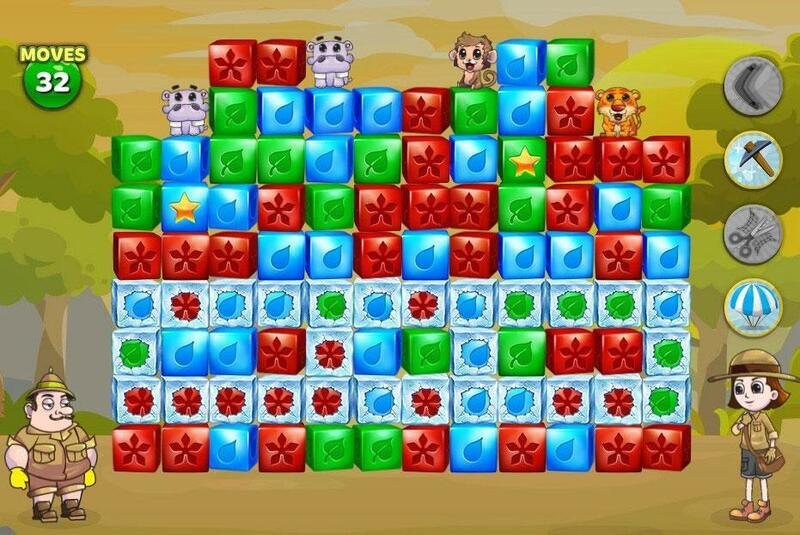 Remove 3 or more blocks to bring the animals down. 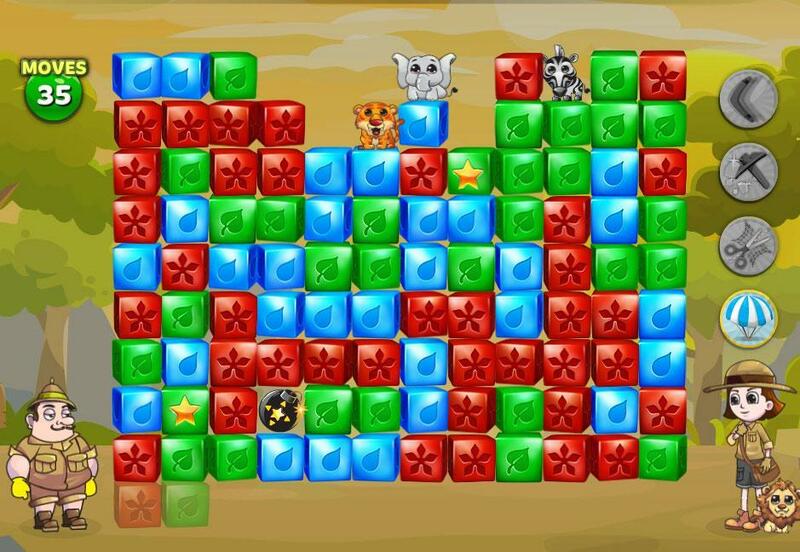 Use boosters to score points or blow up loads of blocks.